It’s a new year, with leafy-green potential for growth. But many of us are still struggling with the same conflicts from 2018 in politics, in our communities, and at work. We may not be able to change everything that makes us tear out our hair or cry on the commute, but one thing we can control is how we practice dealing with conflict. A working team is often compared to a family. Many differences separate these units — a key one being that your family can’t fire you — but the basic concept is true: You are intimately connected to the people with whom you work and you must collaborate to accomplish shared goals. Sometimes, there’s a slammed door or a harsh word, but the team has to come back together to get the literal job done. Parenting a toddler has taught me a lot about this kind of peacemaking, because toddlers are like working adults, just with their insides on the outside. Whereas we usually try to tamp things down, toddlers allow their big feelings full breadth of expression, and their anxieties take external form. They are walking melodramas of the conflicts we adults experience daily in our work environments. And in that regard, understanding their deeply felt needs and reactions — and how they move past them — can help us navigate our own. 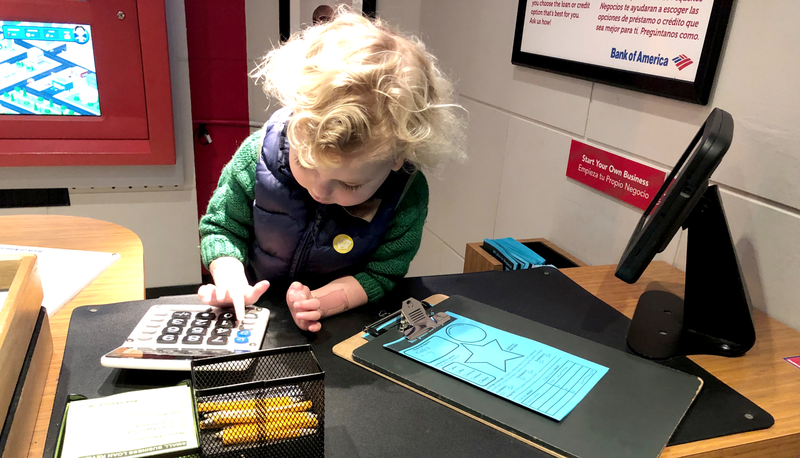 So, here are five tips I’ve learned from parenting a toddler that can make work life more manageable. My daughter often asks me what time she’s getting picked up from preschool. She asks me in the morning, she asks me in the car, and then she asks me again when I drop her off. You might say my daughter is slow to catch on, but I think she’s actually behaving rationally. She’s asking for two reasons. The first is that it’s hard to remember every small detail in a given day. Information slips through the cracks, details are misremembered, and sometimes it’s just easier to outsource a fact to another person. The second reason is that she’s looking for reassurance. The repetition gives her confidence in my answer: When I say the same thing over and over, the consistency comforts her and helps her feel that she can hold me accountable. Those two reasons are the same ones that make your coworkers ask for the same document or decision multiple times. Those reasons are why employees ask management to reiterate company goals and priorities at every all-hands meeting. No one is being obtuse or trying to catch an inconsistency. Rather, the first time serves as a primer, the second as confirmation, and the third as a reminder. Each one has its own meaning and purpose. The key is knowing that we work this way, too. Repetition can give us the confidence that we’ve heard correctly and can trust the information. It’s ok to ask questions when we need clarity, a reminder, or are feeling unsure. If you can’t stand behind your statements or answers at work, repeating them will be both hard to do and misleading for the listener. My daughter remembers everything — everything — even when I think we’re just idly chatting. She’ll bring up that I said I’d play restaurant with her after dinner three days ago. If I promise something just to move the conversation forward or trick her into finishing a task, it will certainly come back to haunt me. It benefits both her and me if I can stop and think about what I can actually deliver on… and then speak. At work, this means not only being a good citizen (don’t lie or connive!) but also pausing before communicating to consider what you’re saying, writing, or promising. When we’re batting away incoming pings for hours at a time, it can be challenging to think through the question and come up with a solid perspective. But our colleagues will value a thoughtful response that we can stand by (and remember) over an immediate one. “Let me think about that” is an essential part of our toolbox, and we should grant our colleagues the space to gather their thoughts, too. Usually, it’s worth the wait. Recently, my daughter was having a hard time going to bed and sleeping through the night. She wanted us to stay in her room until she fell asleep. She wanted to sleep with her feet on her pillow. She wanted to wear her tutu and raincoat to bed. Exhausted, we acquiesced to some demands and took a hard line on others, but she kept finding new ways to delay closing her eyes. We talked to a sleep consultant (angels on earth) who pointed out that our daughter was screaming for boundaries. Kids want to know that there is a system and rules for how to be safe and successful within it. To really love her, the consultant said, we have to set clear routines and goals. Being wishy washy and inconsistent is more confusing than kind. Setting boundaries at work doesn’t mean making rules your colleagues have to follow, and certainly not at bedtime. But it does involve contributing to a structure in which we can work well together. We need to learn and understand our own limits, communicate them to our team in words and action (be consistent! ), and respect our colleagues’ boundaries as well. If we say we’re taking vacation, we need to actually go offline. If we need someone to step outside their core responsibilities, we should acknowledge that it is a request, not a demand. Managers are not parents, but they do have a responsibility to create a safe and logical world for their reports. That means being clear about expectations, and working together to foster a relationship of reliability. So often frustrations arise when a decision seems arbitrary or contradictory. Sometimes it is, but even then, managers can empathize with the frustration and try to draw logical connections that their reports may not see or be privy to. Remember, everyone does their best work when the lines are clear. What soothes my daughter one week won’t suffice the next, and old enthusiasms give way to new interests in a matter of days. Last month, she was mad for Magna-Tiles and wanted oatmeal for breakfast every day. Now, it’s a specific set of crayons shaped like jewels and yogurt with bananas. When I inevitably slip back into old patterns, she responds with a disbelieving “Mooooom!” These changes may be abrupt and hard for me to keep up with, but they’re nothing new. Since she was born, we’ve been adjusting to meet her shifting needs. We’ve swapped mushy meals for solid ones, bottles for sippy cups, and three naps for one (if we’re lucky). Once we accepted that as parents we shouldn’t get too attached to a particular routine, we relaxed into the practice of adaptation. The more significant challenge now is teaching her about the very concept of change: in herself and in the world around her. People, schedules, the weather, and our own feelings change constantly and when we really wish they didn’t. After a lot of conversations, our daughter can now say “sometimes I like corn, and sometimes I don’t.” Or, “I didn’t want it to rain but then it did.” These seem like pretty basic statements, but they are actually revelations: proof that she accepts change as a reality. And now that it is part of her calculus, she can anticipate and process each one more calmly. The nature of the modern workplace is in a similar state of flux. Employees job hop more than ever before, and many companies — especially those in the tech industry — regularly cycle through reorgs and pivots. These days at work, the only constant is change. But that can be difficult to remember when we’re sinking hours or months into crafting a product to be just so or navigating a tricky political gauntlet. Feeling the ground crumble under our feet will always be disruptive. But if we can accept that most things at work will change at some point, and account for that in our plans, we’ll be able to better recover and face new realities with perspective. Change can usher in growth and improvement, but it usually comes at a cost. My toddler loves seeing her friends across the bridge, but she loathes getting into her car seat to go. Then, when we arrive 45 minutes later, she’ll scream that she doesn’t want to get out of the car at all. Our biggest conflicts as a family arise during transitions — even small, pedestrian ones like these. It can be tempting to tell her to get over it; she moves in and out of the car multiple times a day and this is no different. But you may be shocked to learn that I haven’t found positive results in that approach. No amount of self-awareness can stop the emotions my daughter — and all of us — feel around transitions. But we’ve learned to manage them by vocally anticipating the change (“Get ready to get out of the car in 20 minutes”), discussing the positive reasons for it (“I know you’re excited to see your friend!”), and offering warmth and support (“It’s sometimes hard to get out of the car when you’re so cozy, I understand.”). At work, we may not yell or throw food, but transitions impact us just the same. Changing habits can take time and energy. Changing working relationships can feel like losing friends. And changing projects can register as erasing months of hard work. Not to mention all of the events in our personal lives that inevitably affect how we feel at work: We get married, break up, have kids, take care of loved ones, and along the way we learn new things about who we are and what we want. We should be gentle with ourselves during these moments, recognizing that our emotions are legitimate and normal. Managers can play a special role in times of acute transitions; they can offer validation and a safe space to express feelings of sadness, frustration, or loss. But empathy isn’t limited to managers. We should extend the same generosity to our colleagues, whether or not they acknowledge they’re having a difficult time. Nobody wants to be told “You’re acting like a 2-year-old.” But from where I sit, we could learn a lot from toddlers and how they’re learning to experience the world. Their feelings grow up to be our feelings, and everyone you work with threw a tantrum over a car seat or a vegetable at one point in their lives. Let’s use that information to be kinder and more understanding with our colleagues. And let’s acknowledge our own deeply felt needs in the workplace. With more intention, boundaries, and empathy, we can make this year in work a more human one. Many thanks to Andrew Ackermann, Devan Goldstein, and Hannah Levy for their time, perspective, and sharp editing eyes.